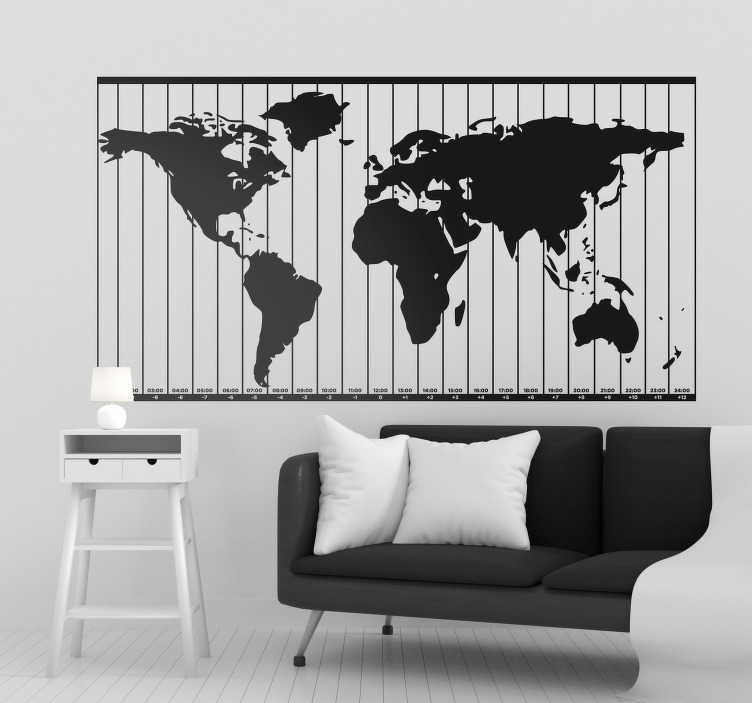 Decorate your wall with this fantastic world map wall sticker! Depicts the classic world map in a changeable colour, with lines flowing down to illustrate the different time zones in which this wonderful world operates! Perfect world map decor for those who love to learn, while also maintaining a fantastic aesthetic!